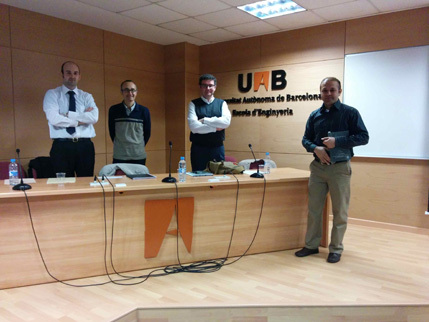 Prof. Josep Sala-Alvarez (UPC, Barcelona, Spain). Prof. David Ramírez (University of Paderborn, Germany). Prof. Joaquín Escudero (Universidad Carlos III, Madrid, Spain).